he Head and Shoulder Bottom and Head and Shoulder Top patterns can forecast an imminent change in trend. Learn how to identify and project price targets using these common patterns. 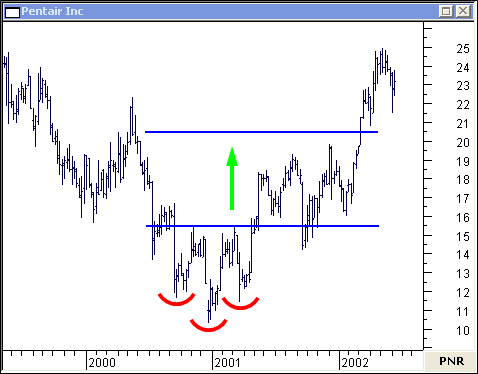 The head and shoulder bottom on this weekly chart of Pentair Inc predicts a $5 move from the neckline to the upside. 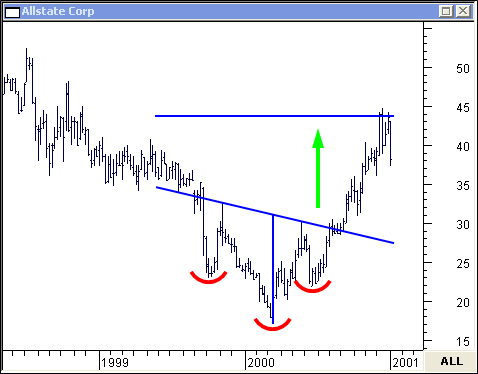 Allstate Corp made its move after breaking-out from a classic head and shoulder bottom on this weekly chart. 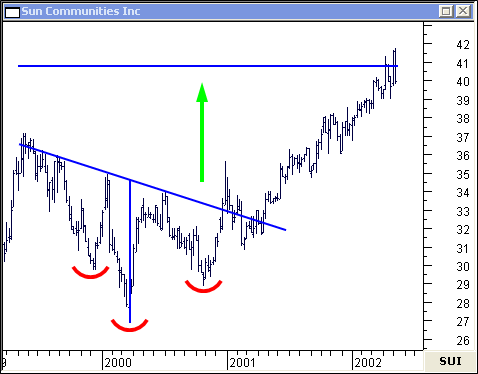 Note the pause and retracement to the neckline after the break-out on this weekly chart of Sun Communities Inc. The Head and Shoulder Top usually leads into a bearish reversal. 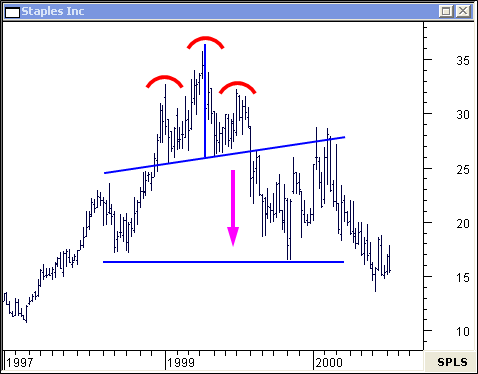 Staples Inc shows a typical head and shoulder topping pattern on this weekly chart. 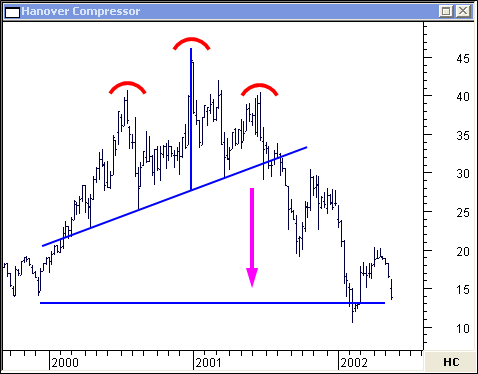 On this weekly chart of Hanover Compressor, the downside objective is tagged... almost a year later. 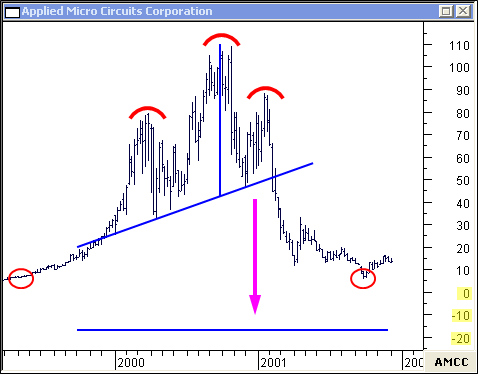 No matter how far Applied Micro Circuits Corporation plunges, it should never reach the projected downside target of negative $16! More likely, it will find support at its last major low... and, it did.